Priscilla tells me that in the 1970s, when she was a girl in Awo-Omamma, Nigeria, the family used to sit around the short-wave radio almost every night to catch the broadcasts from Radio Brazzaville. I imagine the music they heard sounded an awful lot like the contents of Music from Zaire Vol. 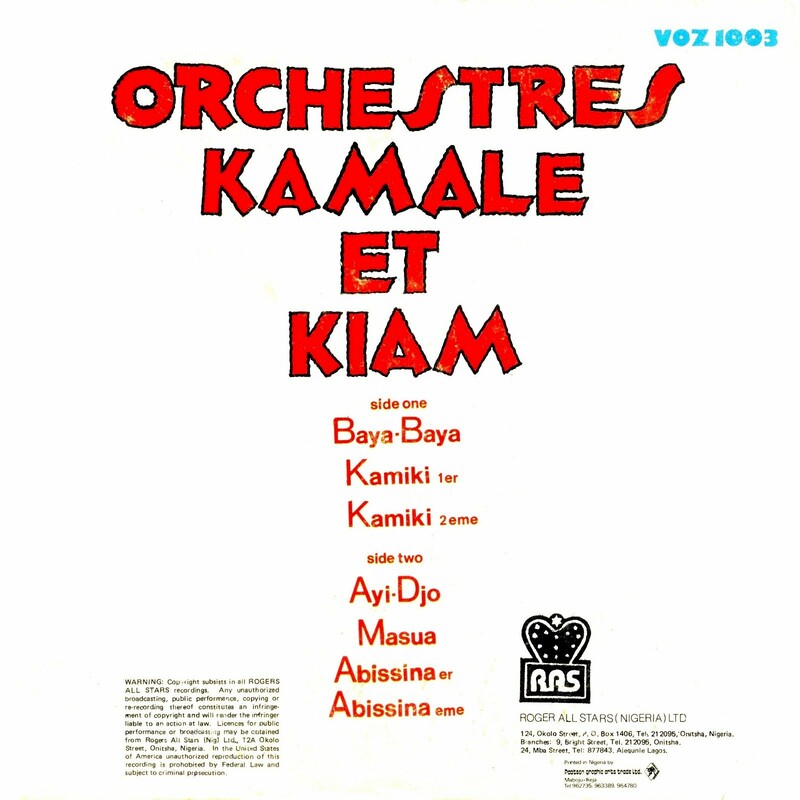 6 (Soundpoint SOP 044, 1978), today's featured recording. 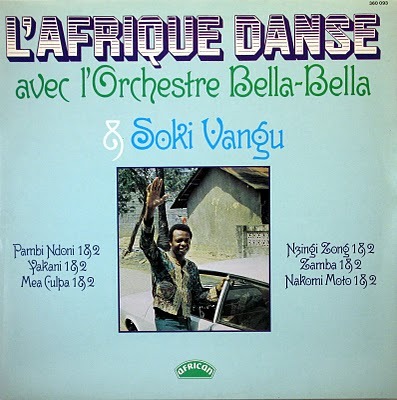 Congo music, of course, was huge in the 1970s all over Africa, and especially in Eastern Nigeria, where it sparked the development of a whole new genre of guitar-based highlife music exemplified by Oliver de Coque, the Oriental Brothers and their many imitators and camp-followers. 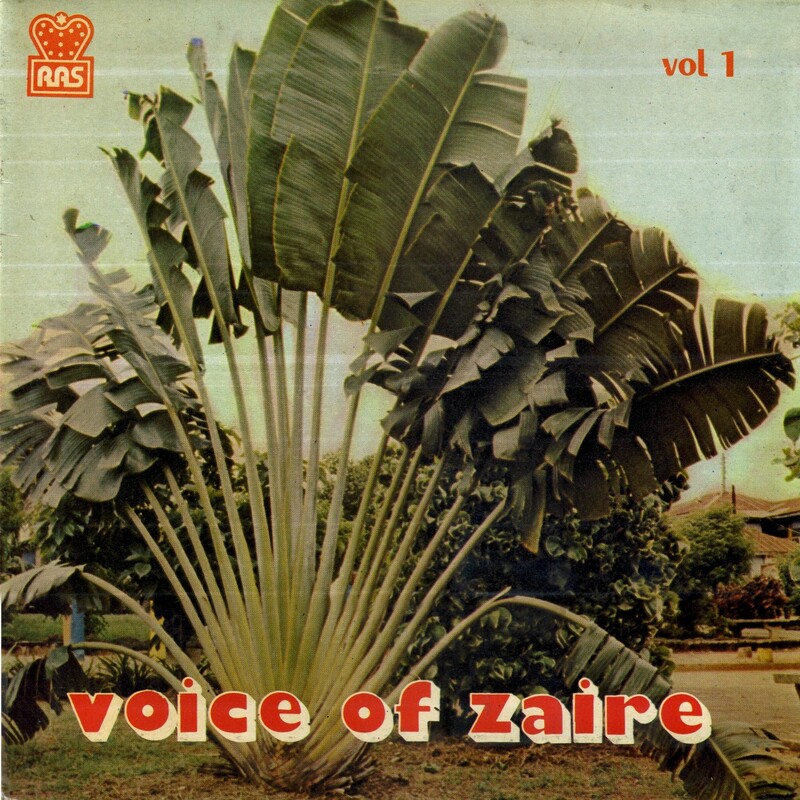 The numerous Nigerian pressings of Congo music that were made in the '70s feature the musicians that influenced this trend, in the case of Music From Zaire Vol. 6 the artists in Kiamuangana Verckys' stable like Orchestres Kiam, Lipua-Lipua and Cavacha. The music echoes down through the years. 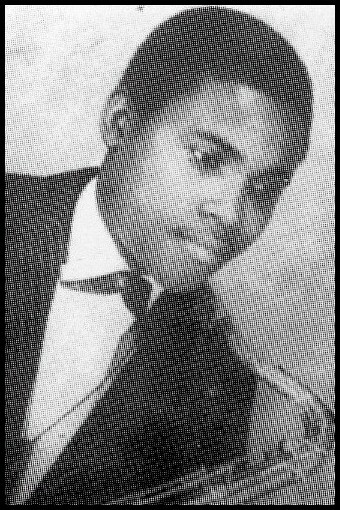 I was amazed, on viewing a video of my father-in-law's funeral, made in 1998, to hear an Igbo-language version of Lipua-Lipua's "Nouvelle Generation" played by one of the local bands. No doubt you could hear the same thing in Yaoundé or the backwoods of Kenya - truly it's one of the most influential African songs of all time. As much of this music is already available through many reissues and postings on the internet, I was hesitant to tack it up here. But recently both Worldservice and Global Groove posted Stars From Zaire Vol. 4 (Soundpoint SOP 042), another installment in the series. That got me to thinking: Is there something about these particular Nigerian pressings that makes them unique? I think so. For one thing, as Worldservice points out, there is a tendency to not include the slower "A" sides of the various recordings and go directly to the big payoff: the "sebene," the faster, more improvisatory second half. This structure is typical of Igbo guitar highlife recordings of the '70s and '80s as well. 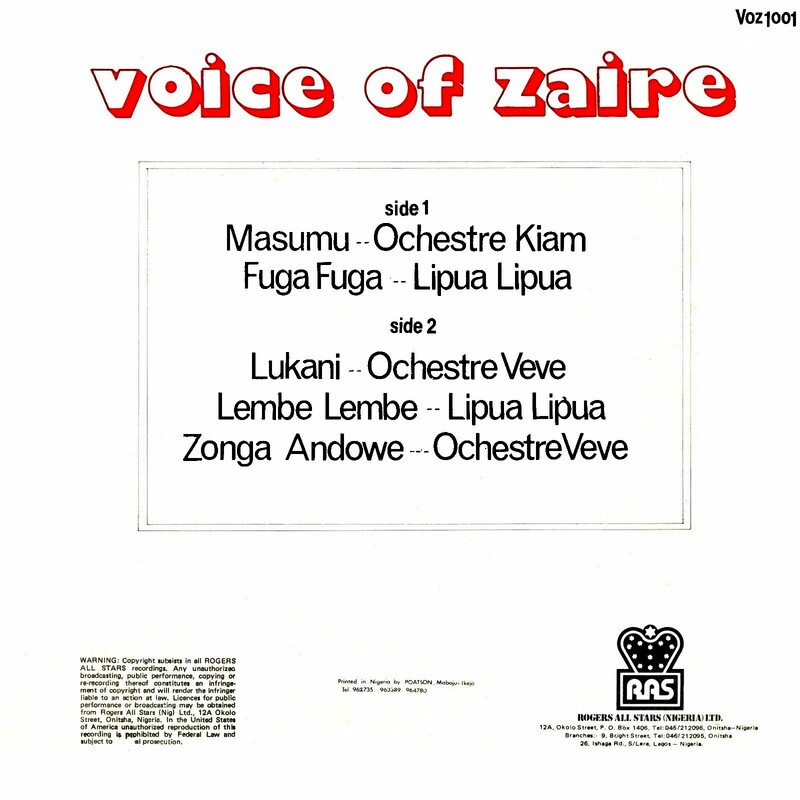 Just listen to Oliver de Coque or Kabaka and compare them to Music From Zaire Vol. 6 and see what I mean! Here, then, is the music. Just sit back and imagine you're listening to a shortwave radio in Awo-Omamma, Nigeria in the '70s . . . I believe track 6, "Mwana Yoka Toli," was misattributed on the album sleeve. 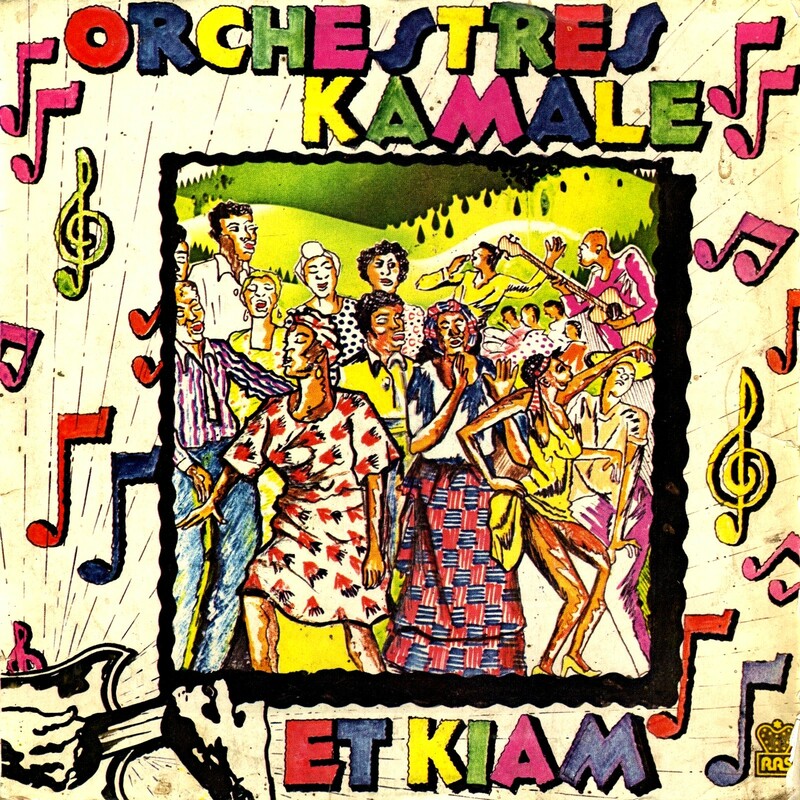 I'm following the liner notes of Jeunes Orchestres Zaïrois 1971/1973/1974/1975 (Sonodisc CD 36517, 1992) and crediting it to Orchestre Bella-Bella. To download Music from Zaire Vol. 6 as a zipped file go here, and following Worldservice's example, I'm making the "complete" versions of "Baya-Baya," "Mombasa" and "Shama Shama" available here. I'll probably be posting more of these Nigerian pressings of Congo music in the future.